RTRFM have teamed up with the State Library of Western Australia to bring you a truly unique and one-off event. Join us as some of the states finest musical talent take images and video from the vast archives of the library, showcasing the history of our amazing state and composing a brand-new soundtrack for the visuals, playing live in the Studio Underground at the State Theatre Centre on Saturday December 15. 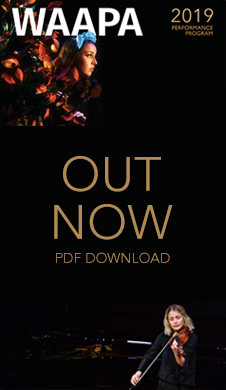 Catch the awe-inspiring sounds of Tangled Thoughts of Leaving, the other worldly sounds of Akioka, the brilliant beats of Diger Rokwell, the experimental brilliance of Orphans and the truly unique Kate Pass Kohesia Ensemble. Each band has been trawling through the archives of the State Library to find footage that perfectly encapsulates the West Australian experience from many years ago to only a decade ago. They will then compose and play a brand new soundtrack to the footage as it plays behind them in the Studio Underground at the State Theatre Centre of WA. From the depths of the WA desert to the long, brilliant coastlines. From the elements, to the people that have made Perth a truly unique city and WA a truly magical state. This is a one-off performance with each musical piece being conceived and delivered on a single night, perhaps never to be heard again. 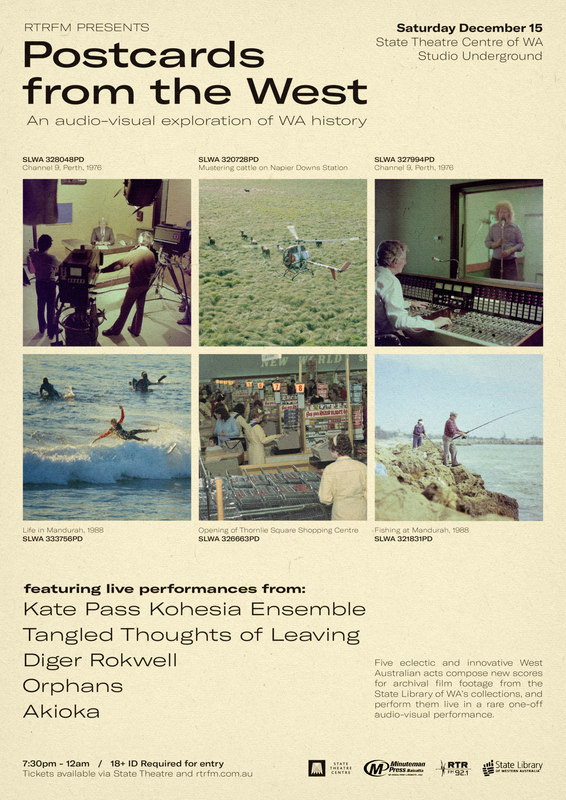 A truly wonderful and once in a life time experience for all lovers of WA music and its history. We will also include a short film made by Yokai Foundation on the history of the force removal of Indigenous Children throughout the history of Western Australia and Welcome to Country from Phil Walley -Stack. COST: $30 for subscribers $35 for General. Plus Booking Fee. Please note, Gold Subscribers do not receive free entry to this event as it is a collaboration with other organisations.